Emerson’s PlantWeb network of predictive intelligence claims to detect process and equipment problems before they even happen, so you can move from reactive to proactive and profitable management. That’s something no one else can promise and, as such, something we just had to look into. PlantWeb is the proven digital plant architecture that uses the power of predictive intelligence to improve plant performance. While PlantWeb lowers capital and engineering costs compared to traditional DCS-centered architectures. It also provides even greater operational benefits by enabling you to improve throughput, availability, quality, reduce conversion costs and sustain the resulting performance gains. 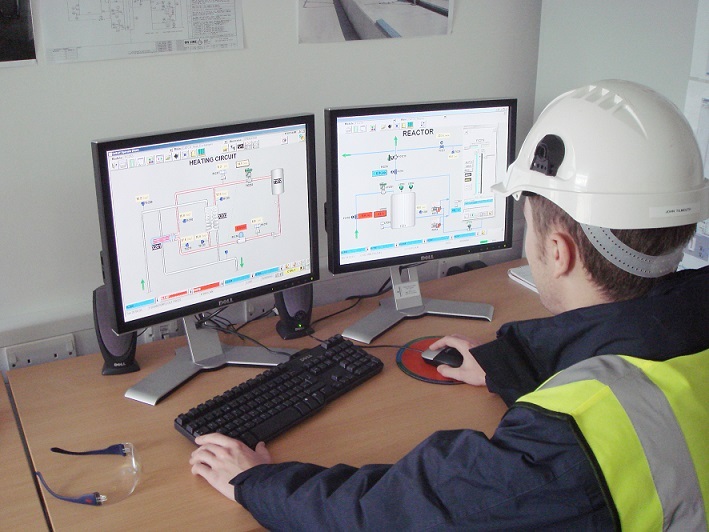 Users typically report at least 2% improvements in plant efficiency. 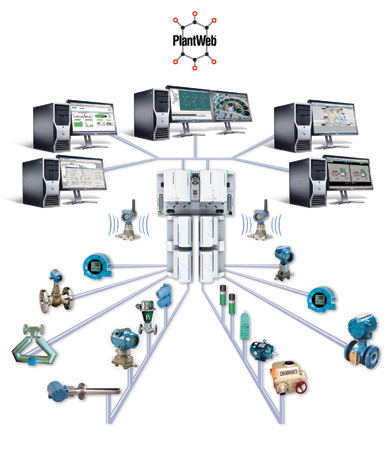 PlantWeb isn't simply a product or a specific automation control system. It's a proven strategy for building a digital architecture; a blueprint for building solutions that optimize plant performance. With the PlantWeb strategy guiding you, Emerson also offers the industry's leading suite of field intelligence, systems, software and services for building your own digital plant. While incremental gains can be realised by implementing any part of this architecture, you'll enjoy the greatest benefits with a complete PlantWeb solution. Leveraging digital intelligence - Today's field intelligence offers a new wealth of information, including diagnostics that enable you to predict and prevent problems before they affect the process. Connecting your plant - Open communication standards link devices, systems, and applications in a plant-wide network to ensure process and equipment information is available wherever it's needed. Controlling your process - The more you know about your process and equipment the easier it is to improve production and keep your operation running smoothly. Optimizing your assets - New technologies and services tap the architecture's information flow to increase uptime, optimize performance, and reduce maintenance costs. PlantWeb has not only helped users realize up to 30% savings in installed costs but has also helped them operate more efficiently. Emerson customers are reporting up to 66% improvement in productivity of their maintenance staff. Customers have also realized at least 2% improvement in overall plant efficiency, with specific process efficiency improvements from 20 to 30%. Emerson works closely with a broad spectrum of industrial sectors, including oil and gas, chemical, food and beverage, power, pharmaceutical, pulp and paper and refining (to name but a few). Responding to day-to-day operations challenges can distract you from making dramatic changes in your efficiency and effectiveness. But with PlantWeb you have the tools to keep your operational expenditures in check while extracting the greatest possible performance from your operation - both plant and people. PlantWeb’s digital plant architecture uses the power of predictive intelligence to improve plant performance by delivering better quality data to the right people so that they can make informed decisions. It accesses and integrates data from the thousands of instruments and other types of equipment throughout your plant — not just process variables, but a new wealth of information on process and equipment health and performance. That information is then used to detect or even predict conditions that could lead to process or equipment problems, and alert you so you can take action before the process is affected. As a result, you gain unprecedented, and unmatched, capabilities to improve quality, throughput, and availability while also reducing costs for operations and maintenance including; safety, health and environment; energy and utilities; plus waste and rework. Visit Emerson for more information.